For more than 80 years, Motorola has helped the world be its best. From introducing one of the first commercially successful car radios that delivered vital news right to us no matter how far from home, to developing the equipment that transmitted the first words from the moon, to leading a public safety revolution with the world's first-ever handheld laser scanner, Motorola's employees have a history of exploding possibility across the planet, innovating smarter, more flexible and more insightful ideas. 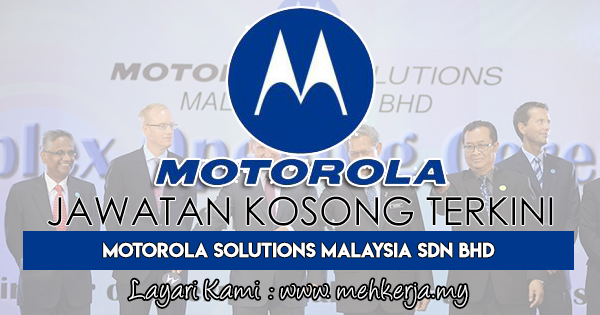 0 Response to "Jawatan Kosong Terkini di Motorola Solutions (M) Sdn Bhd - 13 September 2018"